Parents in the process of divorce are becoming increasingly aware of the many benefits of divorce mediation as the preferred method for settling issues at the end of their marriage. However, unmarried parents, for whom divorce is not the most accurate description of the way their relationships end, may not realize that mediation is also available to them. When unmarried people have children, they may be in even greater need of the services of a professionally trained and highly experienced mediation service. In the south metro, we believe that Johnson Mediation is the best option for unmarried parents in need of mediation services. There seems to be an incorrect belief that unmarried couples who have children may not seek mediation when their relationships require attention. The truth is that all couples are eligible for mediation services, and parents who are not married are not ineligible simply because they are not married to one another. Johnson Mediation wants you to know that you have options to help you settle important aspects of your divorce or separation, especially if you have children. We have the experience and knowledge to help you navigate through the complex world of separating property, assigning responsibility for incurred debts, and determining the best possible solution for custody and visitation rights when children are involved. Ending a relationship is not easy under the best of circumstances. And unmarried couples who have children and are changing the nature of their relationship have many of the same needs as people who have been legally married. Johnson Mediation is built on the belief that couples who are seeking to end their relationship have a better chance of emerging from the relationship whole and healthy when they are able to clearly identify the issues that are present, and the feelings that are attached to those issues. It must be acknowledged that, not only do unmarried couples and domestic partners have financial and legal responsibilities like legally married couples, but they also have access to mediation services like those provided by Johnson Meditation to help them navigate these difficult times. Johnson Mediation can help you prioritize matters so that the well-being of your children is central to the mediation process. When a healthy perspective is in place, it will likely become much easier to find resolution to the financial, legal, psychological, and other concerns that are almost always present when a relationship ends. Unmarried parents who have decided to separate can reach us by calling (952) 401-7599. 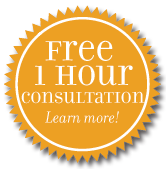 We make it easy to schedule a free consultation with a member of our team to help you understand how our mediation services can help your specific case.